Missing Child: Duncaan Burdick 8 year old white male. Last seen: Malcolm X School 3/20 1:30 pm. 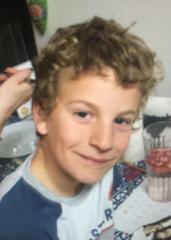 Berkeley Police seeks your help in locating a missing child: Duncaan Burdick 8 year old white male with blond curly hair and blue eyes. Last seen: Malcolm X School 3/20 1:30 pm going north bound on King St. He was wearing a blue t-rex hoodie, khaki pants and black rain boots. If you have information that can assist in helping safely locate Duncaan Burdick, please call 911 or contact the police non emergency line 510-981-5900. If you have information that can assist in helping safely locate Duncaan Burdick, please call 911 or contact the police non emergency line 510-981-5900.